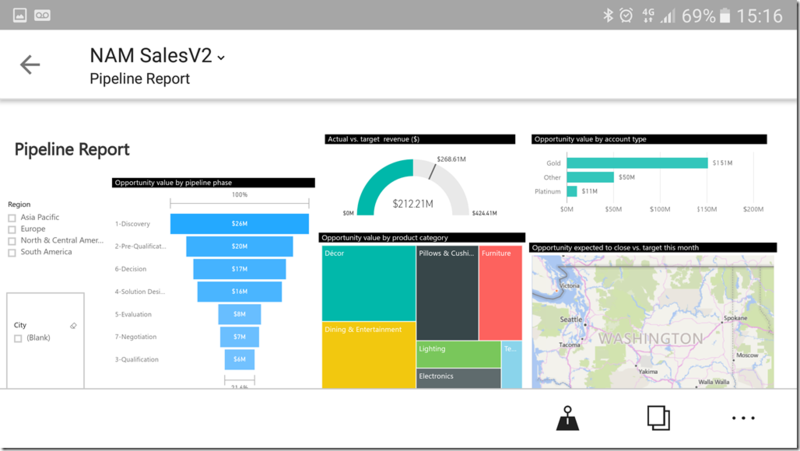 Just before 2016 wraps up, we're happy to introduce the latest update for Power BI mobile apps! 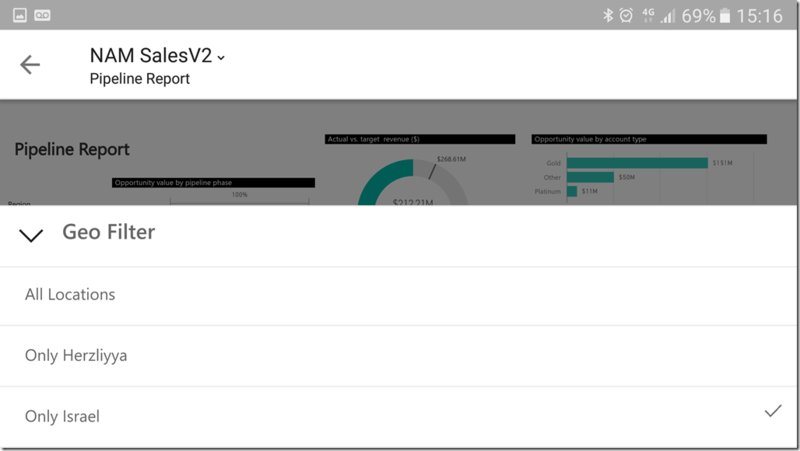 Within this update, you'll find new capabilities such as the ability to share an annotated report, and geo filtering for reports on Android devices. You will also find improvements to existing features, such as visuals links, Apple watch integration and offline background refresh adjustment to reduce cellular data consumption. It’s been a great year for Power BI Mobile, and we would like to thank you for providing valuable feedback and encourage you to keep posting in Power BI Community. We look forward to bringing you even more excellent new and improved features in 2017! The ability to annotate and share a tile’s snapshots has been available on iOS devices since day one. By adding inking, text, or symbols to a snapshot of any dashboard tile, you emphasize an insight or call for action on a specific metric and share it easily with your colleagues. You can share your annotated snapshot over email, text, or any other social app you have on your device. With this update, we have improved the menu and user experience to make it even easier and quicker to annotate and share. But wait, there's more! 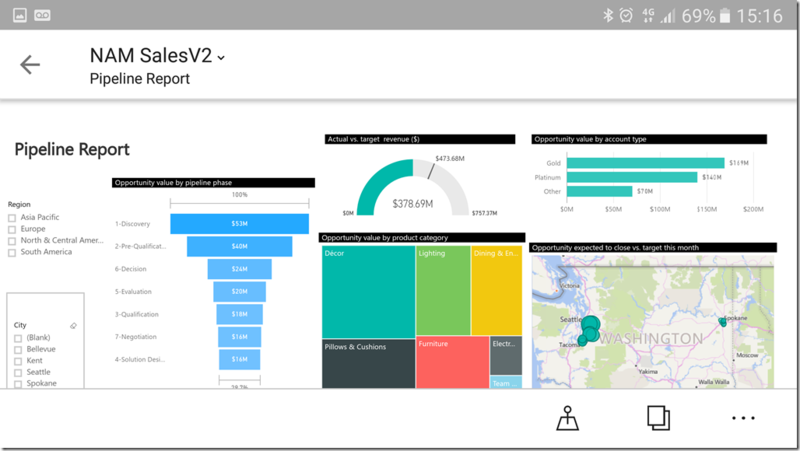 You can now also share an annotated report or mobile-optimized report directly from your Power BI app. For mobile-optimized reports, you can also choose to annotate and share a single visual from the visual in focus. In addition to the above, when you share a snapshot via email we will also generate a deep link to the tile or report. When your colleague receives your email, they can continue their exploration in Power BI by clicking the link and landing directly into the latest view of the tile (assuming they have permission to access it). 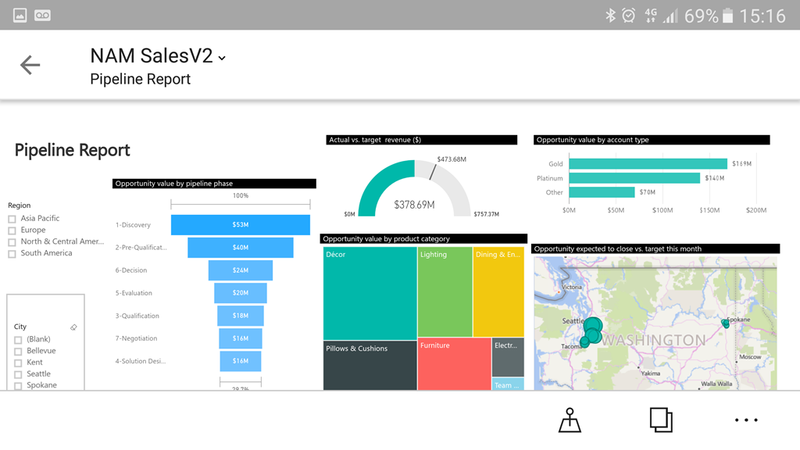 If the link is clicked on with a mobile device, we will open the tile directly on their Power BI mobile app. Read more about the new and improved annotate and share in our documentation. Power BI QR codes are a great way to spread Power BI in your organization because you can place them in a central place where colleagues can scan them and get quick access to a specific and important metric. However, only users with access to the tile’s QR dashboard can scan the QR using the Power BI mobile app and instantly see the tile. For those who scan a QR and don’t have access to the original dashboard, they can now submit a request for access directly from their mobile app. This request will be sent to the dashboard owner. Once the dashboard owner approves the share request in Power BI web portal, the user can scan the QR and access the data. The user who submitted the request will be notified about their access through a push notification in the mobile app. In case you missed it this month we released a preview of our new Android tablet app. Bringing this app to preview first enables you to help us shape this product to perfection. Please download the app today, and join the conversation in the Power BI Mobile community forum. Earlier this year we introduced the ability to filter reports based on your current location on iOS app. We are happy to bring this capability to Android. Now you can use your Android device to filter reports by your current location in just one tap. When viewing reports with data about the city, state, or country that you’re in, you’ll be able to filter your data by that city, state, or country. As long you’re using the app, the filter will remain in effect in the reports to which it was applied. See only the data you need! For more about geographic filtering, see our documentation. You can now refresh Apple Watch data directly from the Watch app. In the dashboard index page, deep press to refresh your data. 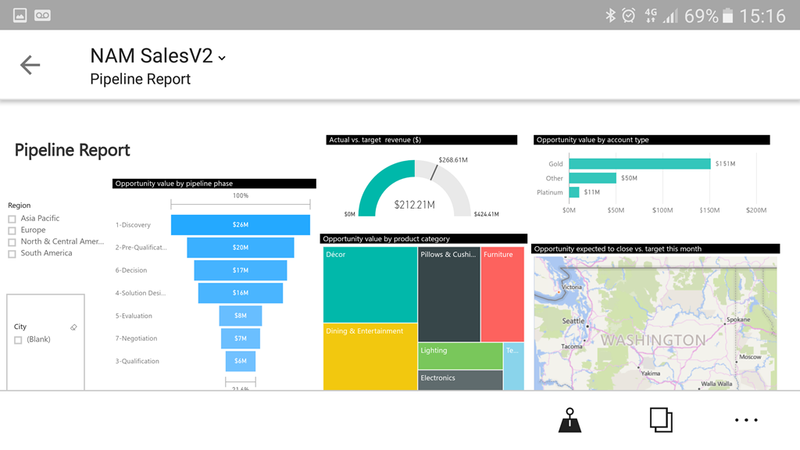 (note that the Power BI iPhone app must be running in the background on your iPhone for this to work). We have changed the behavior that occurs when tapping on tiles that contain custom URLs on iOS devices. If an image tile has a custom URL defined by the dashboard owner, when you tap the tile you go directly to that URL without opening the tile in focus mode. Also, on Android, dashboard tiles containing predefined custom URLs are now able to redirect users to reports within the app.